Khaøs is a project on a global scale, involving two continents, America and Europe and going possibly beyond. Their members have never actually played together in the same room. This came together thanks to the internet. It was an idea they wanted to put to the test. 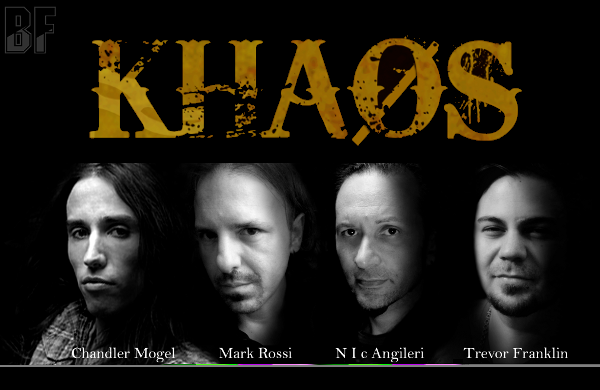 Khaøs is built on a massive foundation of catchy melodies, heavy guitar riffs, thundering drums and roaring bass lines. All together they create a unique, mighty, epic sound to headbang and to sing along to. Khaøs means passion, drive and fun paired with a strong communication and a good team work. Produced, mixed and mastered by Rolf Munkes at his Empire Studios in Germany, five songs with an unmistakable rocking vibe have arisen from the creative collaboration between Chandler Mogel on vocals (Outloud), Mark Rossi on guitars (Tribal), N I c Angileri on bass (Jorn) and Trevor Franklin on drums (Elis). 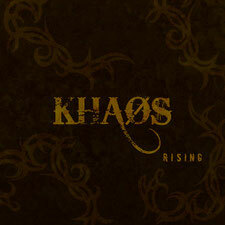 The debut EP “Khaøs Rising” will be digitally released on October 29th 2012 and is conceived as warm-up for a full length.